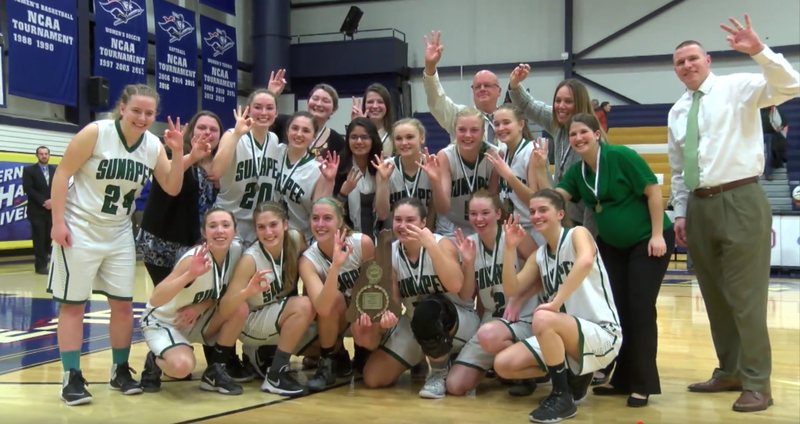 In this YCN Sports Special we take a look at the Sunapee Girls Basketball 2016-2017 Championship. From their run through the playoffs, to their Championship victory over Colebrook. We take a look at highlights from the games as well as interviews with Head Coach Tim LaTorra along with Senior’s Katie Frederick, Faith Larpenter, Meghan Frederick, Mary Grzanna, Sydney Clark & Jessica Parsons.